I run a 2014 Porsche Cayman S manual trasnsmission. 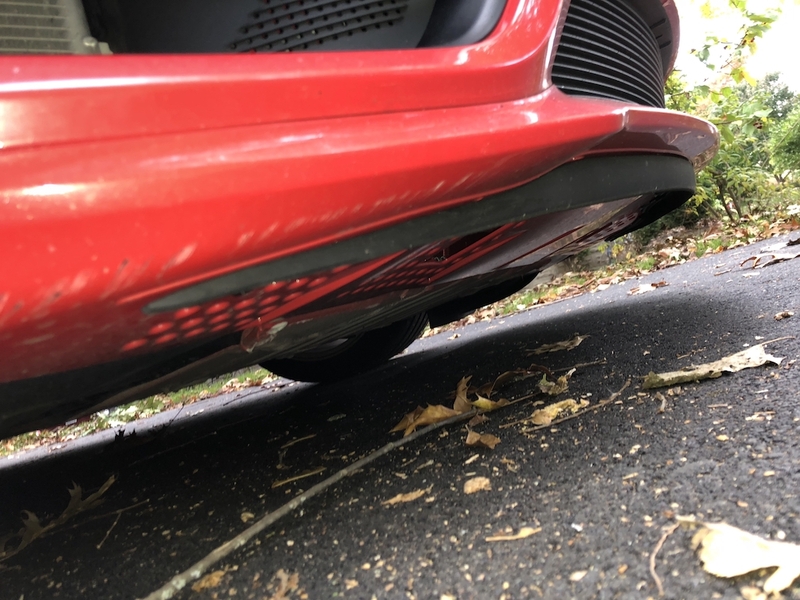 I hit a big pothole and the rubber lip below the front spoiler was hanging down. The rubber lip is held by tabs and a push rivet at each end. The push rivet was missing on one side. I had trouble looking up Porsche part numbers for the push rivet to fasten the front spoiler lip but managed to find it. Parts databases may tell you that it does not fit your VIN but I ordered and replaced it is the right part. There are only two plastic push rivets needed, one at each end. That is the push rivet that fastens the rubber spoiler lip to a Porsche Cayman S 2014 manual trasnsmission. I installed it, it is perfect,and matches the factory item on the other side of the spoiler lip under the front bumper.